This is a game few Nintendo fans ever expected to see on Switch. Falcom are infamous for their reluctance in supporting Nintendo hardware, and only ever support Nintendo platforms via handing their games to other devs and publishers. We saw this last time with Gurumin 3D on 3DS by Mastiff (in fact check out my review on that game!). 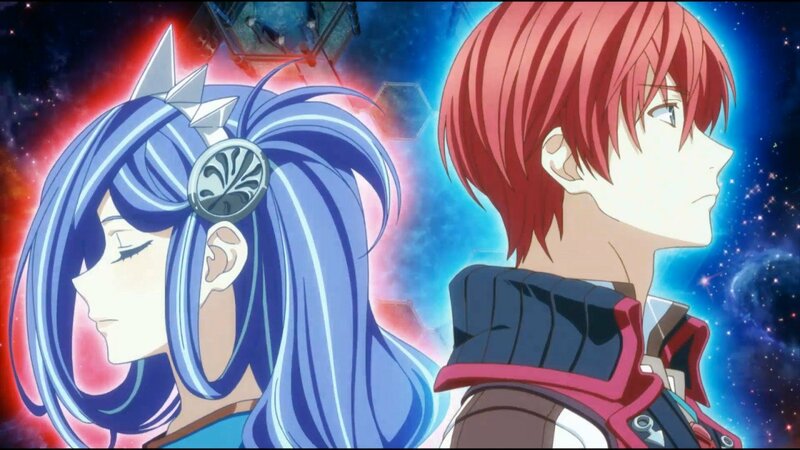 Luckily Nippon Ichi Software took the initiative and went to Falcom and they themselves arranged to get a Switch port of Ys VIII done, and they did indeed, and now it’s here! Nippon Ichi Software America handled the localization on PS4 and Vita, and after some bumps in the road, and with their Japan HQ handling the Switch port directly, how did it all turn out on Switch? Read on and see! 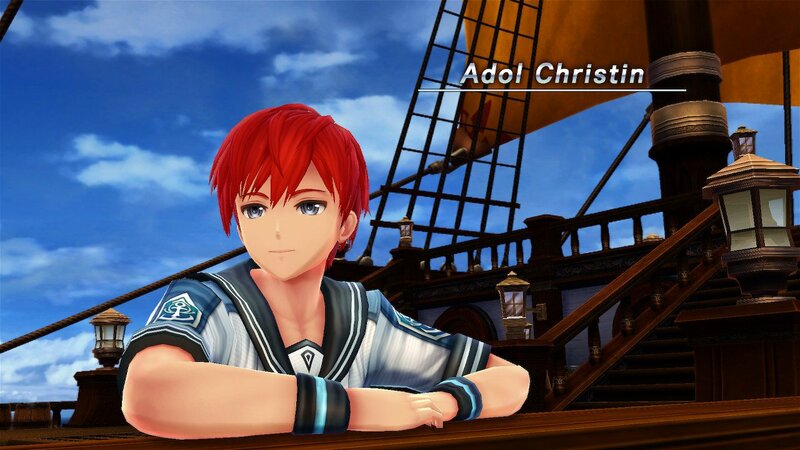 Ys VIII stars an adventurer named Adol Christin, who’s on the ship called the Lombardia with his friend Dogi. You begin the game on said ship and speak to the crew and folks on board. Then after meeting the captain of the ship, a giant squid-like monster attacks and you finally begin your first fight against a giant tentacle. Following this, the ship is destroyed and you find yourself stranded on an island, and this is where the game really begins. Not long after you fight some local monsters, you bump into the next party member, a lady named Laxia. And upon fighting the first boss on the island, you meet the next party member named Sahad. So it doesn’t take very long until you start building a party of folks on the island. The 2D anime opening. Looks pretty good I say! Gameplay can sort of be described as a faster Zelda title. You use the A button to swing your sword and take down regular enemies (that early on consist of squirrels, wolves, and moles). Naturally each defeated enemy grants you experience and you can level up after enough experience. There’s also a dodge mechanic that used by hitting the L button. You can also run by holding down the L button, but your turning speed is lessened while doing so (you also slide to a halt when you stop running, adding a delay when stopping). What I find to be a neat alternative is jumping while running. You gain a lot of speed (it’s even faster than running) and it’s easier to manage I find. A look at the island and general combat in the game. After a bit you set up a camp on the island where you’re gradually able to buy and make things. Example includes leveling up weapons, cooking health items, and creating/buying accessories (that award buffs in stats when held by any party member) using materials you pick up after beating enemies. There are also quests you’ll take that require certain items. Another neat mechanic is fishing. Around this time Sahad teaches you how to fish and gives you 10 bait to start with. You press up on the d-pad near a body of water to take out your fishing rod and hit A to cast it. If you find shadows of fish, you can catch them very easily by casting in their direction. Like in Animal Crossing, you have to wait until the bait goes underwater and then you start mashing the A button, and within a few seconds you catch a fish and you also get some free goodies like meat or whatever at times. I want to note also that your party auto heals HP when you stay still and sheath your weapons. You can also return to full health by touching large purple crystals scattered here and there. Some of the large enemies can give you quite a beating. Also, the game allows you to save anytime aside from during boss battles, so save often when you can. Also, the Switch version comes with loads if not all DLC from the Vita and PS4 versions (I think it was all cosmetic anyway). Some include these ADORABLE dolls that hug your arm! 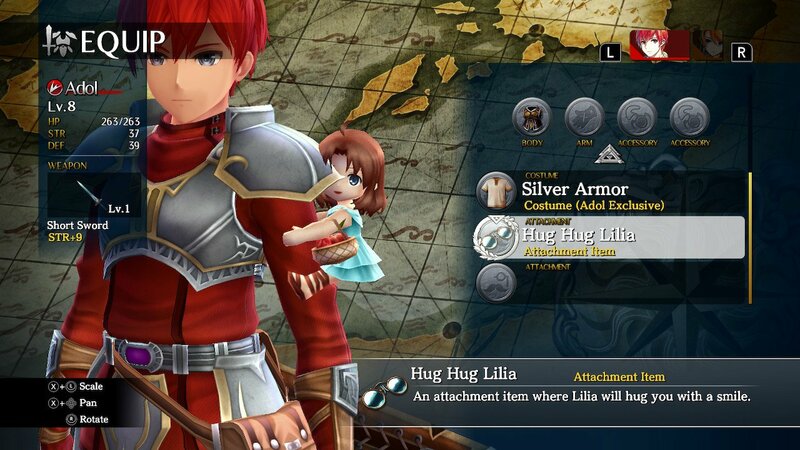 Also, Adol gets his classic Silver Armor from the older games exclusively on Switch as well! Visually the game is decent. It began as a Vita game and it shows, but it got some improvements when it got ported to PS4 prior, including larger areas between loading zones, better textures, lighting, etc. On Switch it seems pretty near 1:1 with the PS4 version. The resolution might be dynamic 1080p since I remember examining Switch footage and saw the pixels looked 1080p, however sometimes the resolution in person looks less that that, it’s odd. But it’s usually very crisp, especially in cutscenes. The framerate is also 30fps with some dips here and there. Some might find this to be a deal breaker, but not me. I think it’s fine. There’s been heavy criticism against the localization of the game since it was originally released on Vita and PS4 in the west. So much so that NISA had to redo it practically from scratch, including voice-acting. The Switch version comes with the new localization on the cart, however apparently there’s some remnants of Japanese text and other typos. 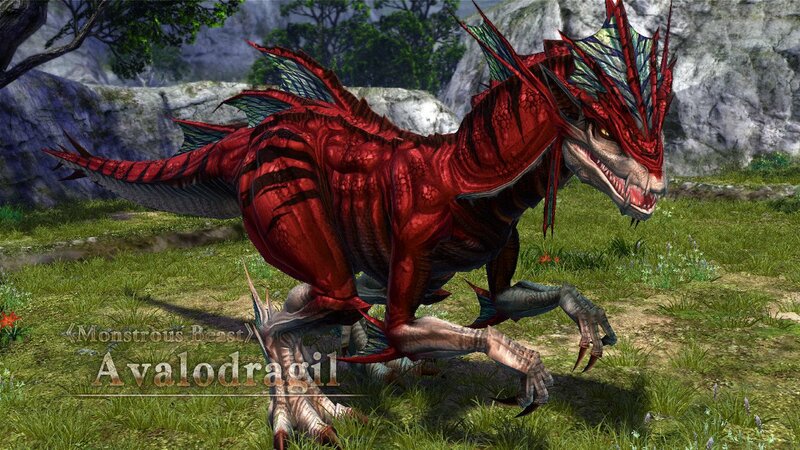 HOWEVER I’ve hardly experienced any in my playthrough so far after a few hours (but I have seen pics of them). Luckily, NISA is prepping numerous patches to polish the localization and other technical aspects. How a look at the patch list here (also note that patch v1.02 is live right now)! I find the localization perfectly fine at the moment, with the voice-acting being pretty decent and everyone sounds as they should. Nothing stands out as being bad. A look at the first boss on the island. Music is very well done. The main island theme is one hell of a rocking tune, giving me a bit of a Xenoblade Chronicles-vibe (alongside Celine Dion’s Faith song but faster, huh). The game’s got a nice amount of voice-acting but you do get a lot of text-only conversations, but eh, it’s to be expected I guess. Sound effects sound perfectly fine, and the enemies sound like the animals they look like, so that’s good. ALSO. It was advertised that there’s a Japanese voice option. This is true, however, it will only be added in an upcoming patch (v1.04) at around mid-July! Overall this is a very well made game. Combat feels good if a tad spammy, and the presentation looks fine for what it is with terrific music. Honestly I know a lot have been hesitant about getting this game due to the issues regarding the localization, but I say the game is absolutely fine and well worth purchasing. Plus the upcoming patches could do away with whatever issues remain. 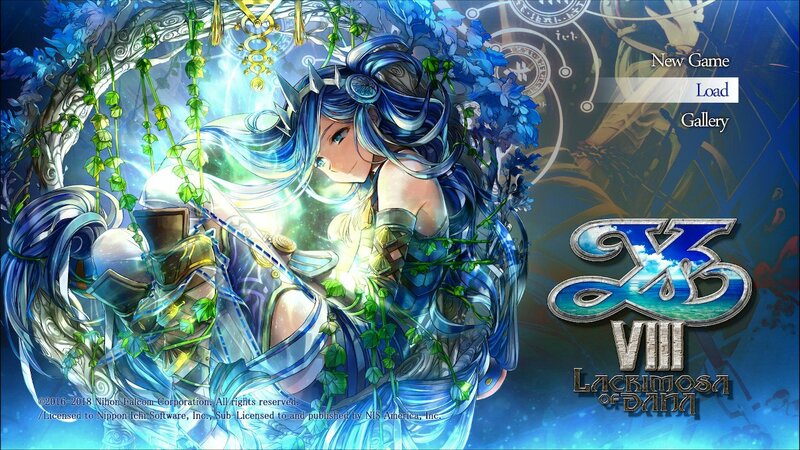 I highly recommend it for any JRPG-loving Nintendo fans. 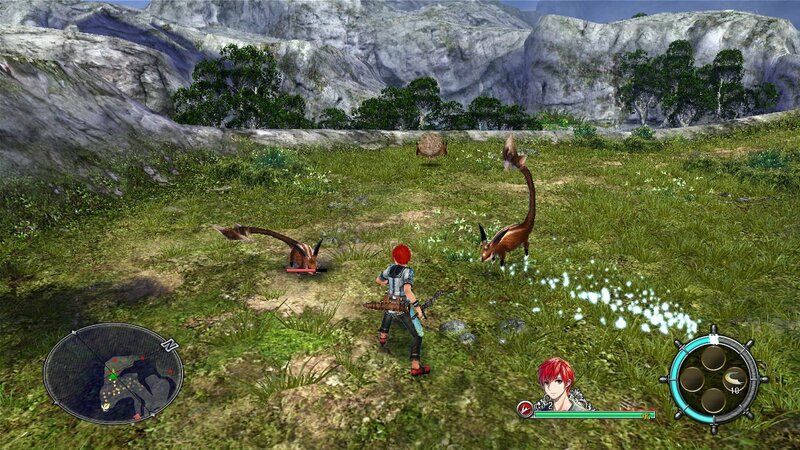 + For a game originating on Vita, it looks quite nice and crisp. + Music is terrific, especially the first island theme. + Combat is satisfying. The leveling system is as well. + There’s a decent amount of stuff to do after a certain point early on. + Localization seems perfectly fine to me. Same for the voice-acting. – Framerate being 30fps with dips could be a negative if you’re very sensitive to framerates. – I would’ve like more voice-acting instead of a bunch of text-only conversations. – No Japanese voice option on the cart/right away. It will only be available via a patch that’s due in mid-July.